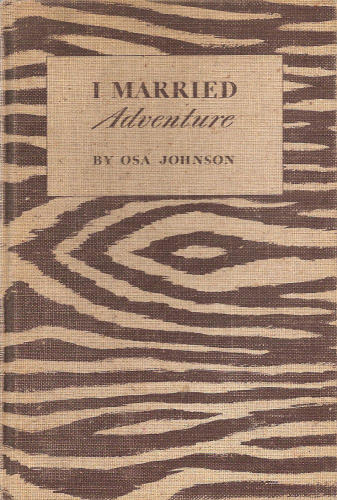 For those of you interested in marrying adventure, check this out, first. I know people just love this book, though I am not sure that everyone who sticks it in a photo-op has actually read it. Still, the zebra print is a must have for the busy designer looking for adventure. Before you buy a copy of this book, you should know which one is the First Edition and which one is the book club. Since most people who buy the book are decorators, the edition doesn't really matter... unless you don't want to get totally ripped off. Recently, I have seen a half-dozen copies of this book listed for $100 or MORE and each one was listed as a First Edition. Every last one of them was a BOOK CLUB Edition and certainly not worth $100. 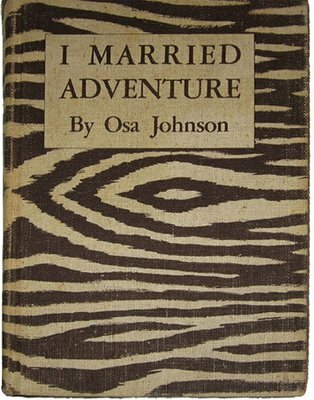 When Book-of-the-Month-Club printed their edition of I Married Adventure, they needed a way to differentiate from the Lippincott printing. Since they used the same plates, BOMC chose to change the typeface of the cover. 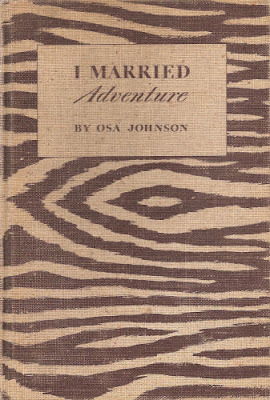 Lippincott editions have "adventure" in BLOCK type. Book of the Month Club have "adventure" in Script. By all means, buy the book (and do read it) but what ever you do, don't pay an outrageous price for a First Edition when you are getting a common BCE. P.S. If you want to pay $150 for a BCE, e-mail me and I'll sell you one!